Everyone that drinks coffee knows there are numerous reasons to have a good coffee pot at their disposal. Not only is coffee extremely versatile, it can be customized to suit each drinker’s personal preferences. Even coffee makers come in a wide range of colors, styles and sizes- so they will not clash with any interior color scheme. 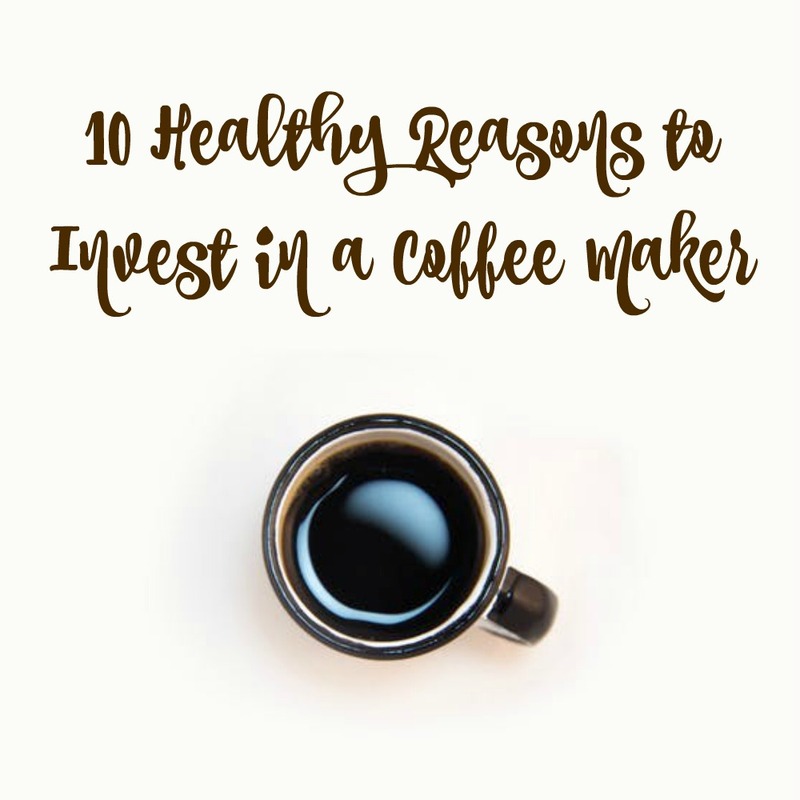 However, not everyone understands that there are countless reasons they should have the best coffee maker in their house, even though they are extremely affordable appliances. In addition to providing coffee-drinkers with the boost they need to get through the day, coffee is an extremely healthy drink. Not only does it help prevent Alzheimer’s and Parkinson’s disease, it also lowers the risk of numerous cancers and helps prevent type two diabetes. Numerous studies have proven that people who drink at least three cups of coffee per day will live longer than people who do not. Coffee is simply packed with countless vitamins and minerals, making it more powerful and beneficial than most of today’s “superfoods.” It’s even more advantageous if you can find some of the best organic coffee options available since they’re free from any artificial flavoring and chemicals. Even the scent of brewing coffee can improve an individual’s mood and people who may not like the taste of coffee do like the smell. Not to mention the fact that the pleasant aroma of fresh coffee can make a home or office seem more inviting- which will help reduce stress. Caffeine, one of the many compounds found in coffee, has been found to alleviate headaches and migraines, even those that are caused by allergies. It has been used for hundreds of years around the world as a medicinal compound- and given the natural healing properties of coffee, this should be absolutely no surprise. Because of its mood lifting properties, coffee has been proven to be extremely helpful for treating depression and is known to prevent suicidal tendencies. Many people do not realize it, but coffee can help lessen and prevent the occurrences of neurological conditions. People who drink at least six cups of coffee a day will live longer, happier and healthier lives than people who abstain from it for any reason. Even if it is used as an ingredient in sauces, marinades and rubs, the health benefits of coffee are not lost. This is something that should make all home-cooks extremely pleased, as coffee is used frequently in barbecue sauces and as rubs for steak. Coffee has been found to help prevent cirrhosis of the liver and there are numerous studies that confirm it. People who brew their own coffee at home can customize it to suit their tastes. There are numerous roasting styles, from extremely dark and rich to “white” coffee, which is the most mild brewing possible. There is no country in the world that does not know about coffee and its health benefits. Even people who claim that they do not like it at least understand that it is extremely good for them. As coffee beans are completely natural, even people who have sensitivities to synthetic chemical compounds can safely drink it. There are also no known harmful side effects, regardless of how much coffee someone might drink. I love coffee, and have a coffee maker. It is so beat up I need a new one! I love having coffee and I love the smell of it and we are always making coffee in my house and trying out different blends. I am actually drinking coffee while reading this. I learned a lot of coffee’s health benefits of preventing neurological conditions and cancers. Now, if I can only get my husband to drink it. my coffee makers are a must have for me. I like coffee and want to buy a coffee maker. It is so beat up I need a new one!